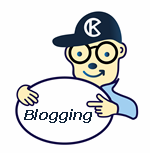 It is great that you are blogging for business. However, it is not enough to merely write your blogs. You need to promote your blog posts as well so that you get the most mileage out of them and so that you are able to leverage them effectively. Undoubtedly, it is critical that you write a top-quality blog. However, it is not enough if you don’t share it with the appropriate target audience in the most effective ways possible. After all, you not only want your target audience to read your blog posts but you also want them to share it with other people they know and trust. Promoting your blog posts properly will require some time and effort on your part. However, it is definitely worth the effort. Writing a great blog post without promoting it properly is like building a casino in the desert. It may be the most wonderful, exciting, fun casino on earth. However, you won’t get any visitors because nobody goes there. In other words, you need to place your blog post where other (appropriate) people will be inclined to read it. Of course, there are several different ways in which you can go about promoting your blog posts. You will find that some are more effective than others and you will just have to experiment with them to determine which ones work best for you. Twitter: The first thing that you should do on Twitter is to post the actual blog article. After that, you will want to set up a schedule of tweets that are connected to the blog post throughout the course of the week. The next week, you will repeat the process. You should do that for as many blog posts (and at whichever frequency) you choose. A great way to hold your followers’ interest is by either changing the title of your blog post or turning the title into a question. People love to answer questions. Google+: First and foremost, Google+ is a wonderful social media channel for posting your blog articles. It is effective when it comes to search engine optimization and it will enable you to form relationships with new people online. The more you interact with other people, the more willing (and excited) they will be to share your blog posts with others. Pinterest: Pinterest is really hot right now. The graphic aspect of content is so important and it generally attracts a large volume of people for the simple reason that many people are visual. They respond much better to content that at least has a graphic (visual) aspect to it. There are several tips that may work for you if you include Pinterest images in your blog posts. Stay away from human faces. Use images that have a plain white background. Try to make sure that the color red is somewhere in the image. It is very important that you carefully scrutinize your graphic images for maximum effect. You would be surprised to learn how and why your target audience members react to what they find in your graphic images. Facebook: Facebook can be an extremely effective social media channel for your blog posts. It is a good idea for you to post your blog article and them inform all of your professional Facebook connections through a profile status update. This is also your opportunity to put in backlinks. LinkedIn: LinkedIn is at the top of the list of most effective professional social media channels. With that in mind, it is an excellent opportunity to share your professional knowledge through your articles. Of course, if you are going to post your articles in LinkedIn groups, make sure that you are well aware of the group rules first. That is very important. YouTube: Videos are a great way to share your content (or videos embedded in your written content). You can do a “how to” video that is connected to your blog post. People generally love that. The video should be brief (15-30 seconds). You can then lead your viewers to your website so that you can get to know each other better. Instagram: Instagram is a wonderfully effective way to promote your blog posts. You can post an image with some sort of caption, ask a question, leave a comment, or make a provocative statement that people are bound to respond to positively. Your blog posts are a very important part of your social media marketing strategy and you should make sure that you use them to your fullest potential. There are many effective ways that you can do that. It is a good idea to do your homework so that you have a clear understanding of what is available and what works best for you and your business. The bottom line is that you need to do whatever it takes to get people to notice that your blog posts are valuable and enticing. Remember to share your blog posts with your social media communities at every possible opportunity (whenever appropriate). We are pleased to provide you with the insightful comments contained herein. For a complimentary assessment of your online presence, let’s have coffee .